On this installment of the Tia and Colton show – I mean, Bachelor in Paradise Season 5 — Tia and Colton go on a date! Wait, what? Didn’t that happen less than two weeks ago? On Tuesday’s episode, BIP‘s resident prom king and queen got the privilege of going on a proper outing together as an unofficial couple. Tia was seriously pumped as she thanked the Paradise gods for the opportunity — but perhaps she spoke too soon? Enter: Raven, a Bachelor fan-favorite and Tia’s BFF from back in Arkansas. What did she have to say about her old pal’s potential love match? Tia and Raven’s conversation about Colton was super intense. 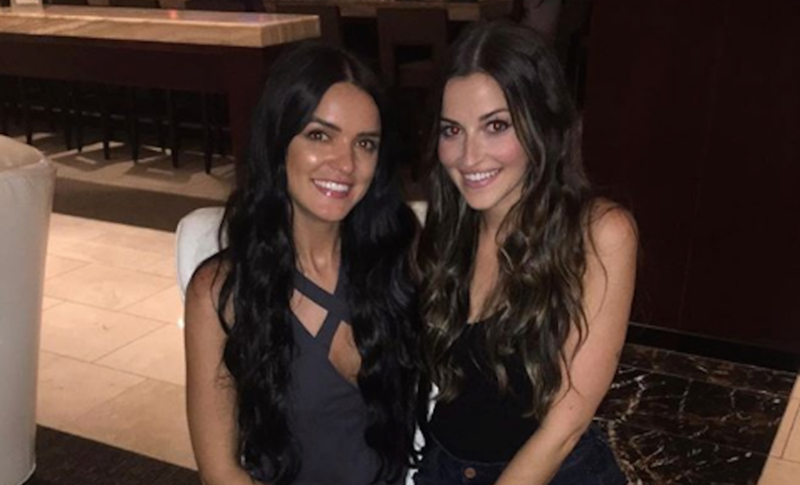 "Raven is such a good friend and she found love in Paradise so I’m excited to let her know about Colton," Tia remarked after Raven and boyfriend Adam Gottschalk (they got together on last season of BIP) showed up in Mexico to crash her date. Tia and Raven got some quality catch-up time, but the exchange didn’t get the enthusiastic response Tia was probably hoping for. After telling Raven that she and Colton had been a couple ever since Colton "came to his senses," Raven launched into best friend real talk. "I’m trying to be supportive, but Tia, I just don’t think his intentions are good," she told Tia. Unfortunately, Tia’s face looked like her heart was sinking. One reason Tia feels that way about Colton? Tia was an "it girl" from Arie’s season, and she thinks Colton goes after it girls. Of course, Tia immediately took to her man’s defense by pointing out his good qualities. Clearly, fiercely protective of her bestie, Raven wasn’t exactly buying it. "All of his actions have said something different. I’m really concerned. I do not want to see you in heartbreak," Raven warned Tia, before advising her to seek out who Colton really is and what he truly wants. "You should not settle for anything less than someone who mirrors the best part of you and if there is a doubt or a question in your mind you have to acknowledge it," Raven added. Um, cue the Golden Girls theme! Thank you for being a friend, Raven? And so, after the tearful chat, Tia took her buddy’s words to heart. She faced Colton right then and there to make sure he was in it for the right reasons. (Sorry — had to.) He expressed his commitment by giving her just what she was looking for at the beginning of the day: Confirmation that he only has eyes for her. "Will you be my girlfriend?" Colton asked her. Spoiler alert: Tia said yes. In fact, she pretty much squealed in delight over the turn of events. Tia and Colton have gone back and forth from the start of the season and their ongoing saga has been at the center of the show leading up to this point. Remember how a few days back she was all in on Chris? Well, things change every second in Paradise. Perhaps Raven’s cautious guidance worked in mysterious ways and formally brought them together.